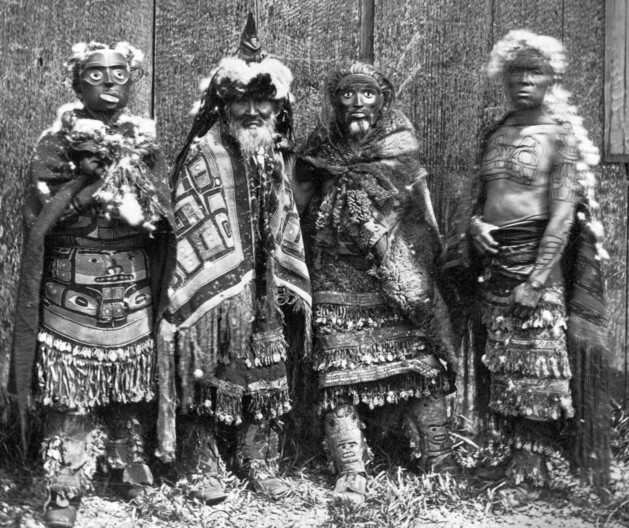 Men in ceremonial regalia. Two men (left, third from left) wear a mask. Masset, 1881. Photo by Edward Dossetter; courtesy of the Royal BC Museum, BC Archives, B-03590.